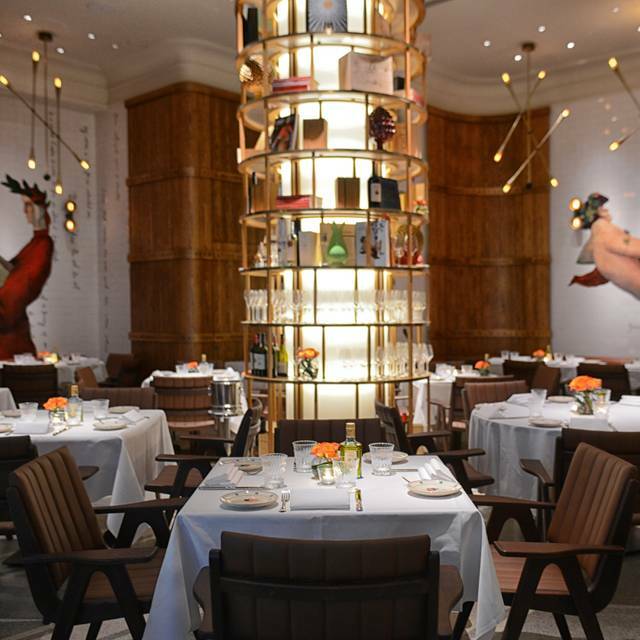 You must make bookings at least 5 minutes in advance of the time at Ristorante Frescobaldi London. 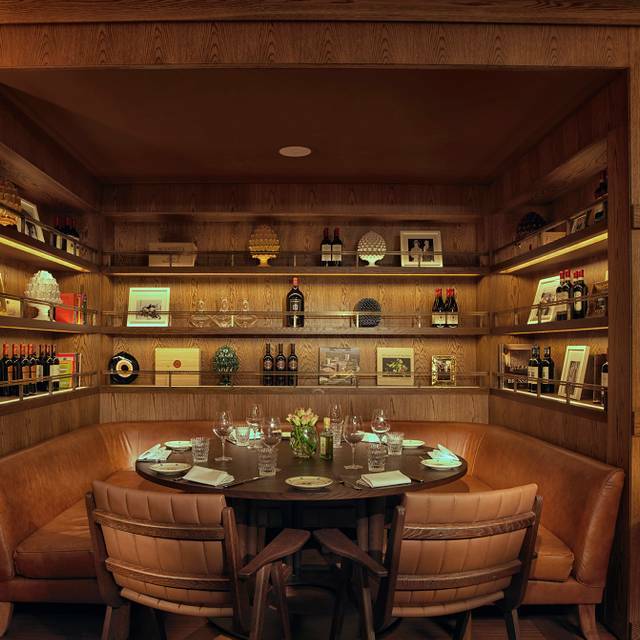 Fine wine and Tuscan-inspired food! With a history spanning almost 800 years, the infamous Marchesi Frescobaldi family are famed for producing the world's finest Italian wines. 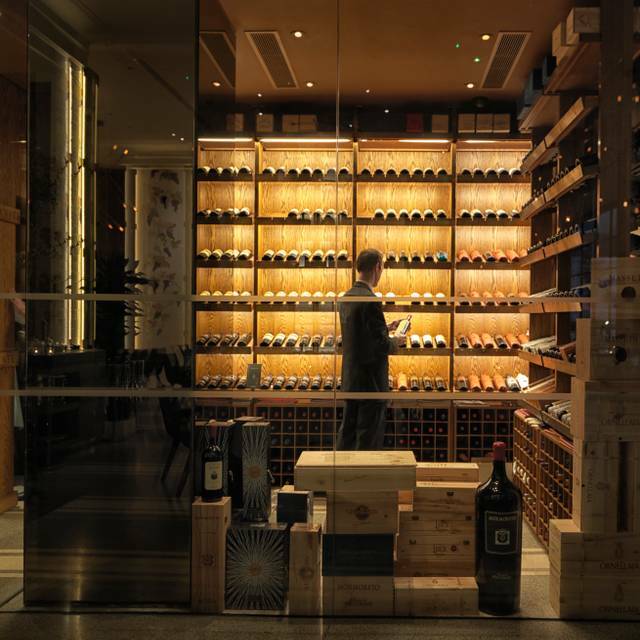 Join them at Ristorante Frescobaldi on the 2nd of October for their next installment of the increasingly popular "Winemaker's event" introducing their most recent acquisition - Tenuta Perano. Enjoy a selection of wines from the family's vineyards perfectly paired with a sumptuous meal put together by Head Chef Francesco Migliorin. For more information or to reserve your place please call 0203 693 3435 or email reservations@frescobaldi restaurants.com. Semi private dining room on the lower ground floor . Includes a lovely and cosy bar. 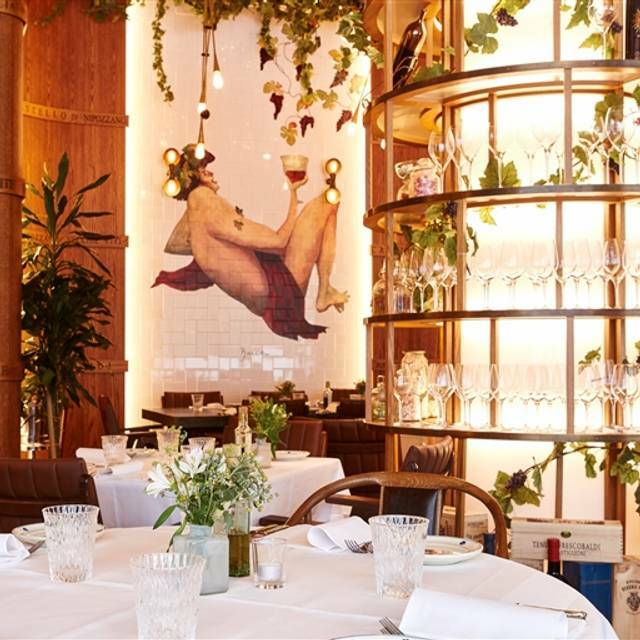 Ristorante Frescobaldi London, is the first standalone restaurant and wine bar from Italy’s oldest and most respected wine dynasty; Frescobaldi and The Good Food Society. 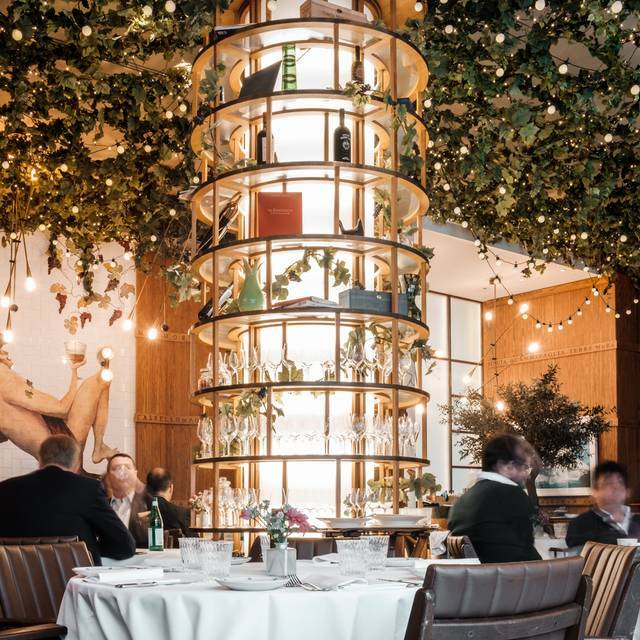 Set in one of Mayfair’s most iconic mews, Frescobaldi London serves fresh Italian dishes in a spacious and stylish environment, all complemented with the finest Tuscan wines. The restaurant also has a serene out-door terrace away from the hustle and bustle of Regent Street, perfect for brisk lunches, after-work cocktails and leisurely dinners. Excellent in every aspect. 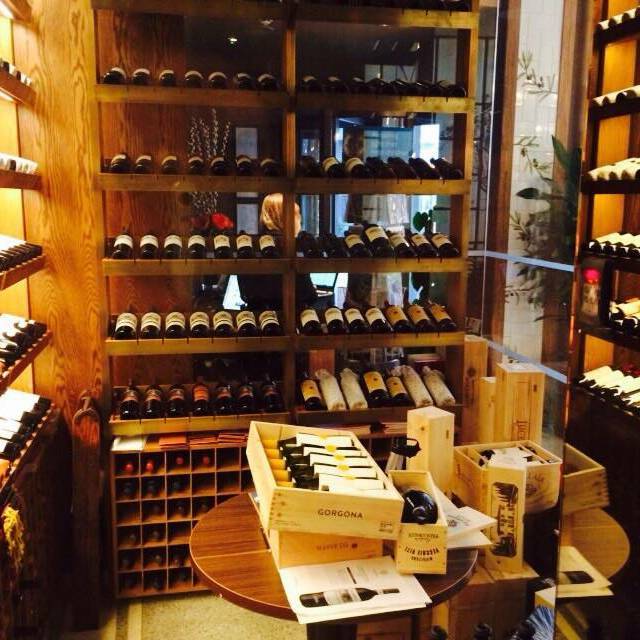 Great food, excellent wine, good ambiance, and very friendly staff. This has been a consistent favorite of mine in London. However, poor service (constant haggling to place our order, within 3 min of sitting down, the waiter's lack of knowledge of the specials when it was time to order, and a just a "fair" meal - not bad by any stretch, but just nothing special/unique such that we are used to at Frescobaldi. The restaurant has clearly slipped versus other recent experiences. Overall very good. However the waiters were so eager to fill our glasses and impatient to order more bottles that they fill your glass three times before you even touch it, up to the top, and they ended up mixing sparkling and still water to finish the bottles even faster! Grilled sea bass was excellent too. The waiting staff where attentive and efficient whilst maintaining a nice relaxed atmosphere. And the food was next level enjoyable. Will definitely be going back, I do wish they had a few more desert options though. Great service, will go again. Good wine list, good attention to detail. Food was delicious, service was good. This restaurant lacks sophistication and quality. The restaurant was very tired and the food not nice at all. They seem stuck in a rut and are living off of glory days gone by. I was very disappointed and would never return or recommend it. Pasta al dente but seriously bad value for money. Personale attento, presente e simpatico. Cucina italiana rivisitata fantasticamente e giusta ricerca nella presentazione dei piatti. Ottima scoperta, lo consiglio vivamente! Awful food, bad service and high prices! I will never go to this place again. 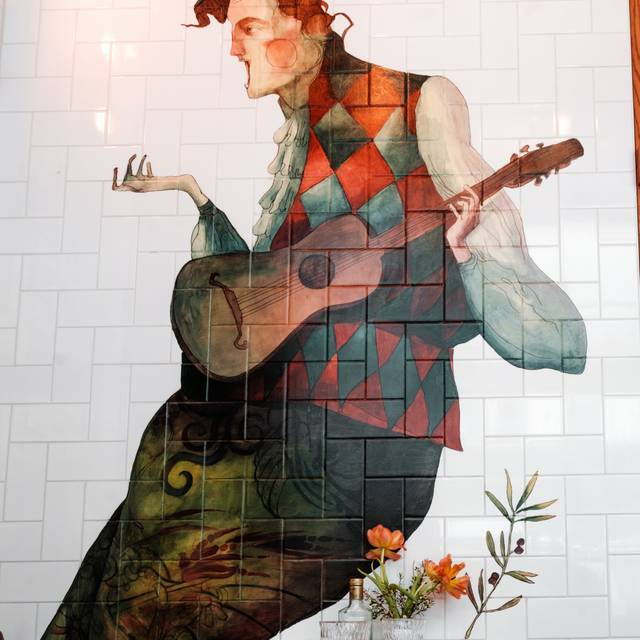 The only good thing is the design of a restaurant, but it does not cost that money. Good ambience& good service but the food was average....starters were OK, main course not so much. The environment and service are good, the foods there are just about average but costs much more than its value. Only restaurant in London that I refused to pay service. Waiters were rude and unfriendly and literally slammed our plates on the table when serving our food. Portions were small and way overpriced for what it is. Just lovely! Interior decir very pretty. 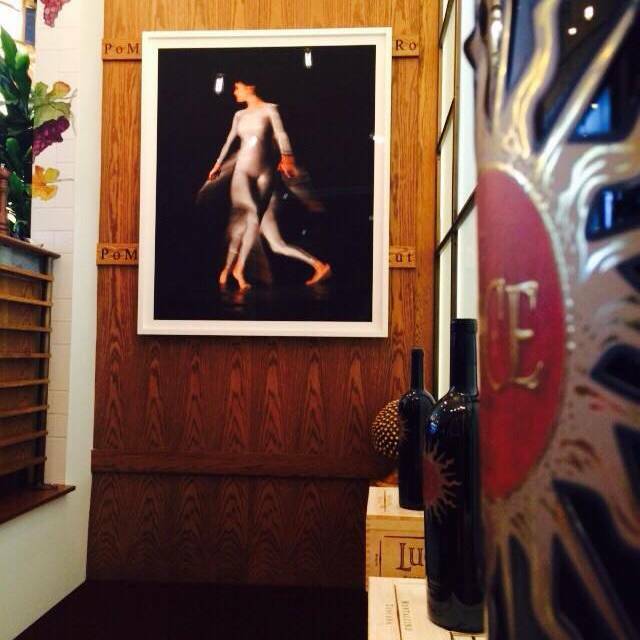 Food excellent and sommelier en pointe! Food, ambiance, service, everything was great, above our expectations. Thank you! If you ask a server something he will ask another one to do it, and sometimes they keep ignoring it until they find someone else to do it, overall really poor service. We had difficulty in choosing our meal from such a varied menu, but eventually we both plumped for the octopus starter followed by the shared Florentine style T bone steak. The octopus was beautifully presented and has excellent texture and taste, but the steak that followed was not as good as I hoped it would be, although perfectly cooked it just didn't have the depth of flavour I would have expected from such a prime cut. Which was a real shame as the restaurant itself is well worth a visit as the cavernous well appointed dinning room is a very pleasant space to while away an evening whilst enjoying good Italian cooking. Overall unfortunately poor. Set a minimum of £70 per head and only tell us AFTER we ordered our drinks. Quality of the pasta was very poor as was the starters. The other mains we saw others have looked ok. Waited 11 minutes at the front desk and even then they got my name wrong 3 times and told me I hadn't booked. Took 21 minutes to actually order after asking twice can I order, very odd. Waitress was incredibly rude on two occasions which was a real shame. There are many better Italian restaurants in London for sure. Avoid. I took my girlfriend here for her birthday, the venue was very nice and the food was good. I informed the restaurant while booking it was her birthday, and they arranged a small thing for the dessert which was a nice touch. Great place for business lunch, lovely andcwarm ambiance. One of my favoutite place to eat with amazing wine list. We were however let down last time by a nearly invisible waiter (as quick as a flash) and new smart device to pour wine without removing cork which unable the wine to open and develop, rather missing the point. 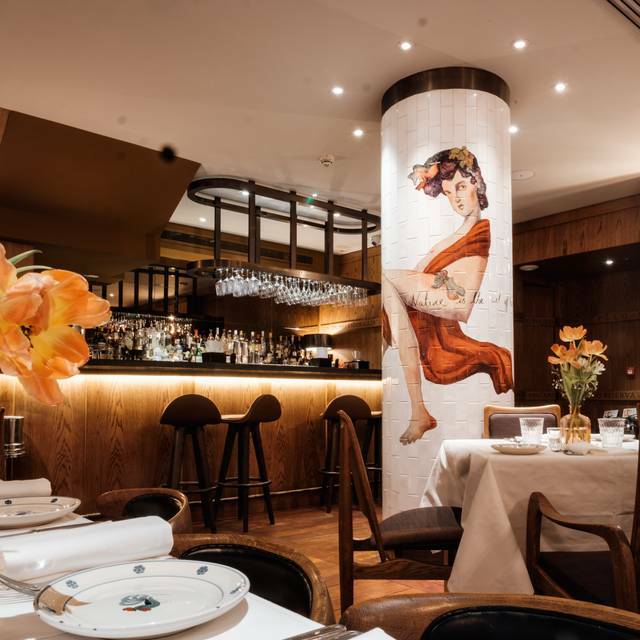 A very disappointing experience with a lack of atmosphere, very average food that was rather over-priced and sadly nothing about Frescobaldi would make us go back. Amazing black truffle pasta! Highly recommend! Also great wine list. I found a hair in my food. The waiter took my plate when I wasn’t finished eating and my fork and knife clearly were not aligned. Had a lovely meal here for our special anniversary. It's a beautiful restaurant and very romantic! The food is very good but expensive for what it is. It didn't wow me. Music was a little loud and clubby but aside from that service was good and all the staff werr very friendly and helpful. Service was rushed. Waited spilled food on the table and never bothered to clean it. Quality of food not what we expected at all. Our first time visit and welcomed like a regular to best table . Service and food was brilliant. House Brut bubbly excellent. A good lunch meal but let down by professionalism of service and ambience. Food was very good but very expensive for what it was. A good location and pleasant ambiance. Special offer food portions small and expensive . I went to this restaurant for a special occasion with my wife in search of an authentic Italian restaurant in London (we are both Italians so perhaps our expectations might have been higher than normal). We left the restaurant with the impression that this restaurant doesn't really know what it wants to be, a fine dining restaurant or a more relaxed "traditional italian" restaurant. Both the pasta and the meat course were very good, but the starter with the chicken liver pate' was disappointing and the bread a bit stale. We also were not very impressed with the dessert, my wife did not enjoy the chef's re-interpretation of the tiramisu, and my millefoglie looked like a plate of cereals. The dinner was expensive and overall we felt it wasn't good value for money. It was very expensive for the food you got. The food was little and not special. There was only a small collection of wines (most of them from Tuscany) and the most tasteful ones were overly priced. We regret that we went, the evening before better eaten with delicious wine for half the price!! The food was great, ambience was also nice. Service was a bit slow, apart from that everything was great. Strongly recommended for special occasions.